Where in the World? is a group exhibition featuring photographs by Diane Arbus, Bill Brandt, Richard Benson, Harry Callahan, William Christenberry, Robert Frank, Paul Graham, Mark Klett, Duane Michals, Richard Misrach, Nicholas Nixon, Robert Rauschenberg, Michal Rovner, Lucas Samaras, Frederick Sommer, Hiroshi Sugimoto, and Garry Winogrand. 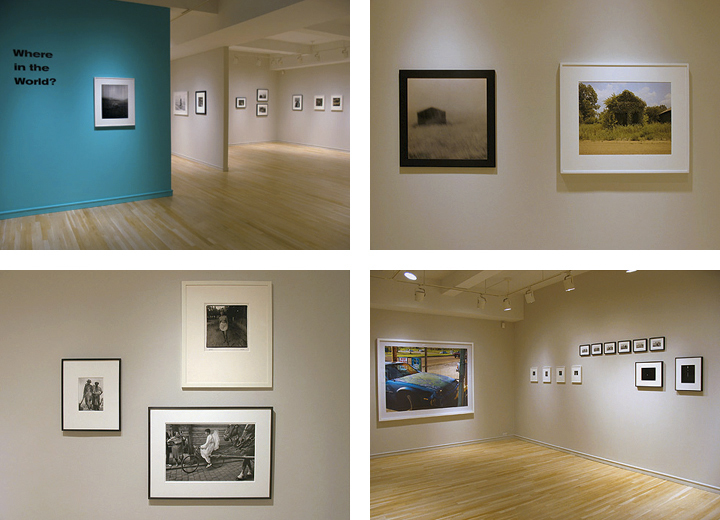 The work on view explores photography’s particular ability to describe and convey a sense of place. 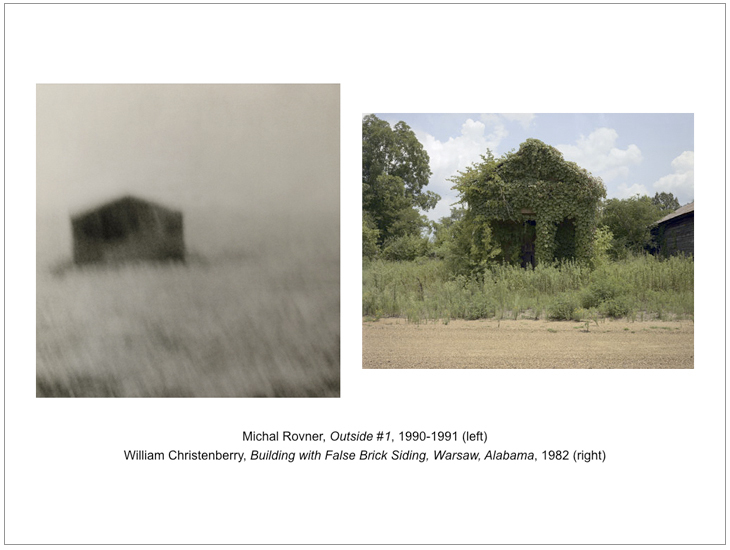 Whether referencing an immediately identifiable location or one that is conceptual and abstract, each photograph encourages the viewer to contemplate – or decipher – the physical context in which the picture was taken. What is the exhibition about and what does it intend to communicate? How does each photographer’s work relate to the concept | theme of the exhibition? 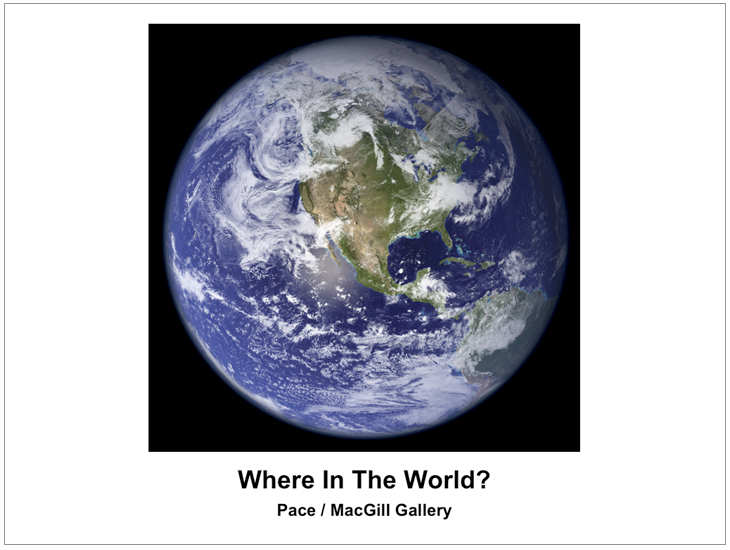 How are the images related to each other (formal, aesthetic, social, and/or historical issues and considerations) to reveal the conceptual | thematic concern? What are the psychological, historical, sociological and/or cultural contexts that have shaped the selection of each photographers work? How does the selection | juxtaposition of photographers and their works cause the audience to consider the conceptual | thematic idea in a new and inventive way? Or alternately, does the selection cause the audience to rethink a common theme? Each time period, including Historical (1839 – 1918), Modern (1919 – 1975) and Contemporary (1976 – today), is required to be represented by a minimum of ten (10) photographs from each for a minimum total of thirty (30) photographs | photographic works in the exhibition. The selected photographers can have a maximum of four (4) photographs | photographic works in the exhibition. 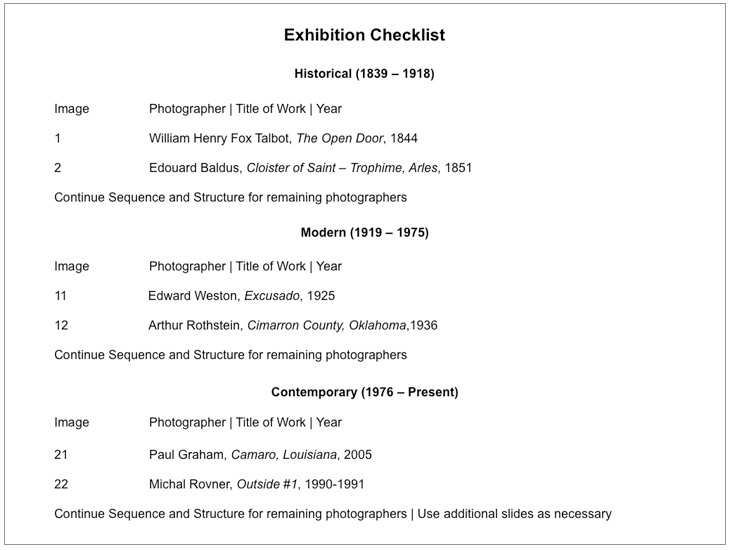 The exhibition | artist checklist is required to be printed-out as a hard copy. 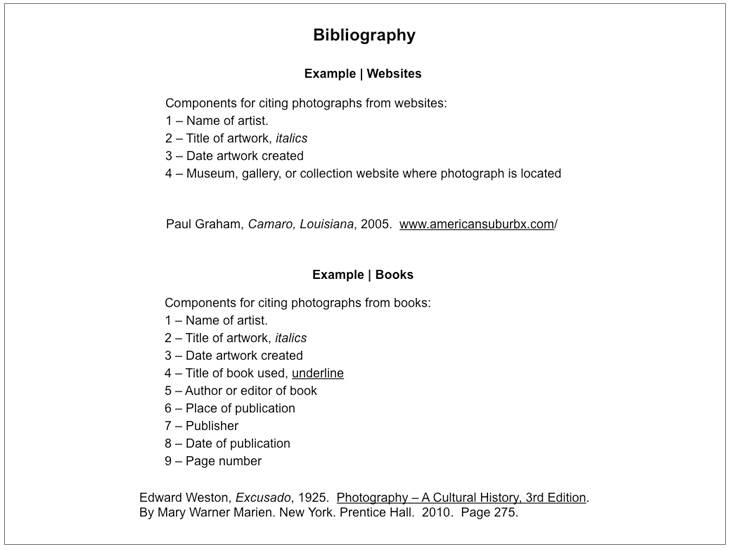 List all materials referenced in selecting the photographers and images included in the exhibition as well as any other critical discussion materials, including websites, books and articles used. 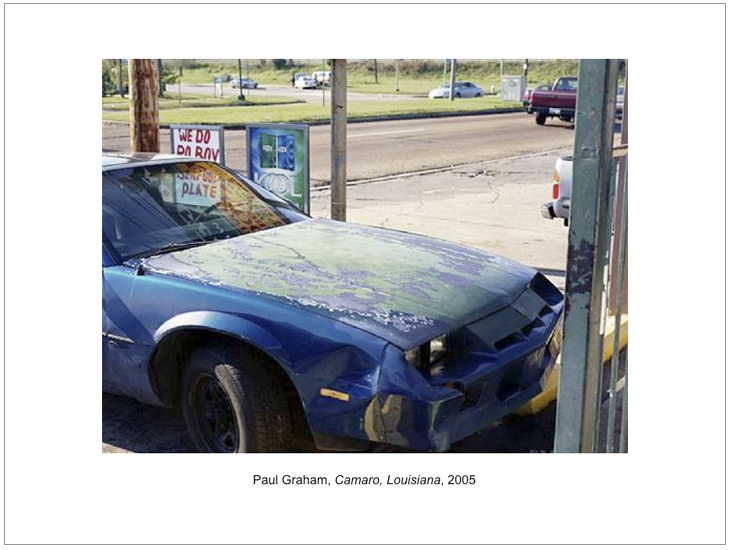 Curate a exhibition of photographic works that reveals a conceptual | thematic concern. The exhibition is required to include a minimum of thirty (30) photographic works from the history of photography, including the Historical (1839 – 1918), Modern (1919 – 1975) and Contemporary (1976 – today) time periods. 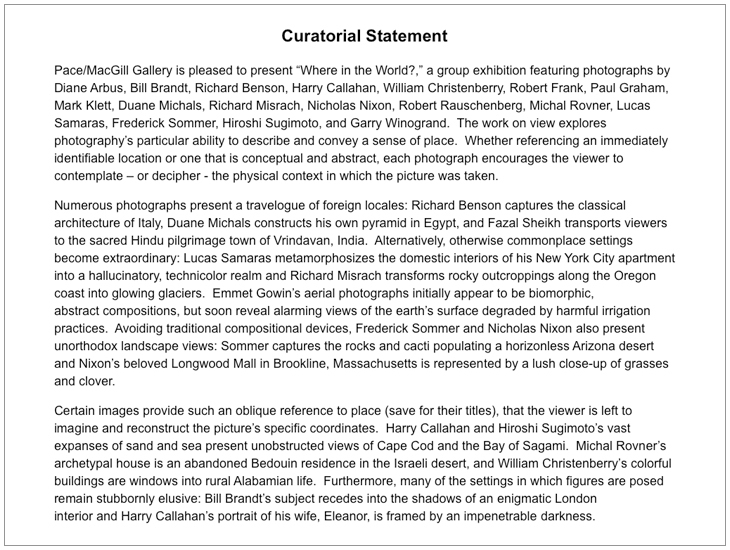 The curatorial exhibition project is required to be submitted a PDF exported from a Powerpoint or Keynote presentation. The slides are required to be on white pages. The presentation can be submitted via a thumb / external hard drive. Please insure that the completed assignment | presentation is formatted correctly to open on other computers.